Usually, primary elections are effectively a warm-up for the general election in November. Turnout is low, margins are usually high and everything is wrapped up when the last of the absentee and questioned ballots are counted about a week after Election Day. A litany of problems in the House District 15 Republican primary have cast a cloud over the election. Several absentee ballots were requested for voters found to have died. Residents of one trailer in Muldoon filed requests for 17 absentee ballots; another in the same trailer park filed 14 ballot requests. It's not yet clear what exactly took place. The trailer park that is the source of most of the ballot irregularities is inhabited largely by members of Anchorage's Hmong community, many of whom have significant language and cultural barriers. It is for this reason that incumbent Rep. Gabrielle LeDoux hired a California resident, Charlie J. Chang, to help with voter outreach there. She paid Mr. Chang $10,000, a significant sum in a primary campaign, for his services. The exact nature of those services — the agreement Rep. LeDoux had with Mr. Chang and what he did to turn out voters — is fundamental to knowing whether what happened in the District 15 primary was legal but rife with honest mistakes, ethically dubious or even criminal conduct. Alaska voters, particularly those in House District 15, need to know, and they need to know as soon as possible. As of Friday afternoon, the state Department of Law and the Division of Elections had yet to announce an official investigation into what happened in the primary. That doesn't preclude the possibility that one is already underway. If not, one should be started as soon as possible. And that investigation should be transparent throughout its course, so that Alaskans can be reassured they have a full accounting of the facts. Voters need to know what happened in the race well before they go to the polls in the general election, where Rep. LeDoux will face off against a Democratic challenger and potentially a write-in candidate, an option Alaska Republican Party Chairman Tuckerman Babcock said he was encouraging. In recent years, high-tech methods of election interference — voter database hacking, social media botnets and fake news pages — have grabbed headlines, but few incidents are as corrosive to voter confidence as those that have existed for centuries: electioneering, voter intimidation and the like. As we guard against the high-tech threats, we must keep a weather eye on the sanctity of the old methods, and take every precaution to make sure election laws aren't being broken, whether intentionally or through misunderstanding. Fortunately, incidents of voter fraud are comparatively rare, and even rarer are cases where such fraud has a bearing on the outcome of the election. But the House District 15 Republican primary features the potential for both: A tight race in which absentee and questioned ballots played heavily in deciding the victor. 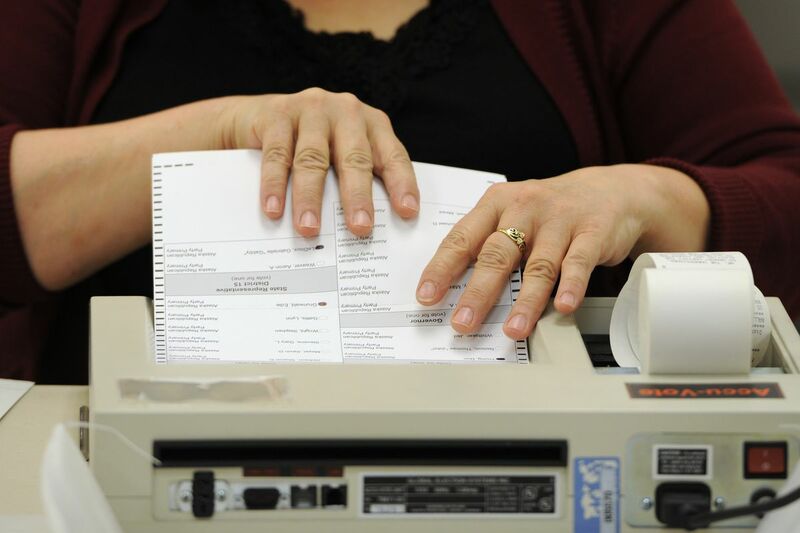 As such, Alaskans need a full accounting from the Department of Law and the Division of Elections that will allow them to cast their ballots in November with confidence, unhindered by nagging questions about the legitimacy of the August result or the potential for such irregularities to be a factor again.